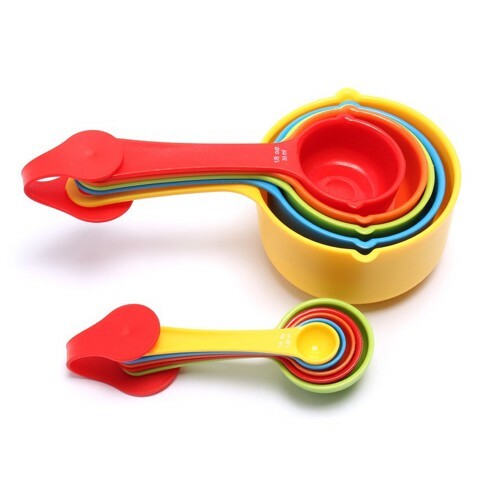 Measuring Cup And Spoon 10Pc Set. Cup 30 - 250mL l Spoon 1.25 - 15mL. Mixed Colours: Orange l Red l Green l Blue l Yellow. PP Plastic. 0 Packaging: Swing Tag.